We all spend money on a daily basis, so why not make your everyday purchases more rewarding with a cashback card? Here are the best cashback credit cards in Malaysia to help you save even when you’re spending. 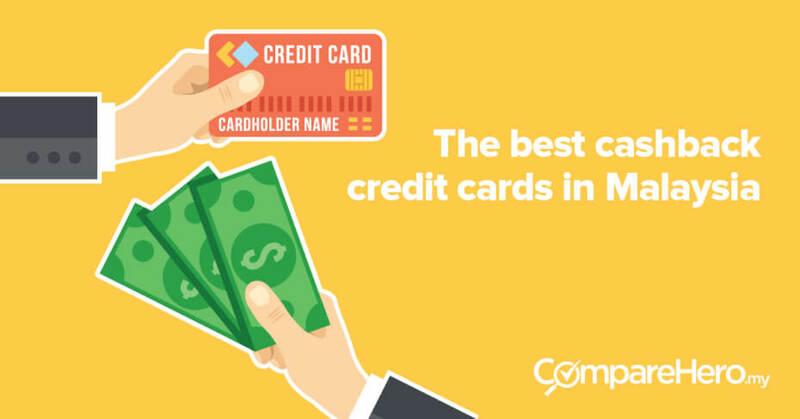 This winning list of best cards was compiled based on cashback credit cards that have high cashback rate and with high cashback cap. Standard Chartered JustOne Platinum Mastercard Up to 15% RM85 none Autobill, online shopping and petrol RM7 per ticket for any movie via GSC website and mobile app. You will then be eligible to earn 15% cashback on each of the category and 0.2% cashback on the “other categories” spending. If you want to make changes to the categories you have chosen to get cashback on, you will be charged RM10.60 for each change. To enjoy the 10% cashback the requirement is a minimum of 10 retails transactions monthly with minimum spend of RM50 per transaction. The cash back is capped at RM100 while the minimum spending required to receive maximum cash back is also reasonable, which is RM500. If you don’t like your cashback to only be limited to certain categories, this is the card for you. This card offers unlimited cashback on your spending meaning you can enjoy more savings. The cashback is tiered based, so you can get up to 3% if you spend between RM2,001 – RM3,000 monthly and charge it to the card. So if you spend RM3,000 monthly, you will get RM50 rebate. It is calculated according to the tiers, so you get RM5 for the first RM1,000 then RM15 on the next RM1,000 and RM30 on the remaining RM1,000. Aside from that, you can also personalize this card. Imagine having a card with a picture of your choice, even a picture of yourself or your loved ones. The annual fee is RM148, but it will be waived for the first 3 years. For the subsequent years, you’ll be able to get this amount waived if you spend RM5,000 annually or 12 swipes in a year. Here’s another cashback credit card to consider for cashback. You can enjoy cashback benefits for groceries shopping at participating stores like Giant, Tesco, Mydin and AEON Big and for petrol. The cashback rate is 8% but do take note that cashback is capped at RM50 per month. To qualify for the 8% cash back you have to spend more than RM2,000 per month. If not, you will only get a cashback rate of 2% if your spending is below RM2,000. You will also get 0.2% cashback for local retail purchases. But remember, there is monthly cashback cap of RM50. So even though the total calculation for cashback above shows total cashback would be RM59, the cashback received will be RM50. 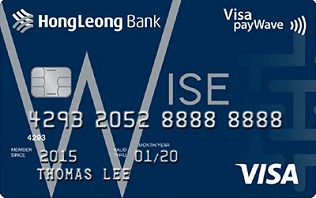 Annual fee: RM254.40 for principal cardholders and RM127.20 for supplementary card holders (annual fee is waived with minimum of 12 swipes per year). This card is especially for all you ladies out there! 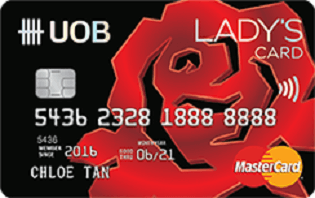 Shopping will be even more rewarding with the UOB Lady’s Classic Mastercard as you get 10% cash back for your weekend fashion purchases. However, take note that there is a minimum qualifying spending amount a month to get the 10% cash back which is RM300. While the maximum cashback you can get every month is RM30. 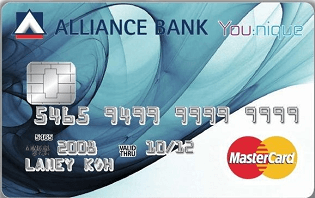 This card also comes in platinum or solitaire variety with added benefits, but that also means the annual fees are higher. This credit card offers 6% cashback rate for groceries, dining, online shopping as well as domestic and overseas transactions. The minimum spending required to receive the maximum cashback is RM1,000 and cashback is capped at RM50 per month. Aside from getting cashback, you also get to enjoy 2x complimentary access to any Malaysian Plaza Premium Lounge subject to terms and conditions. Annual fee: RM411.28 for principal cardholders and RM212 for supplementary card holders. First year annual fee waived, subsequent years fee waived with minimum 12 swipes annually. When deciding on which cashback credit card to get, you should first take into account what you usually spend the most money on. Whether it is groceries, petrol, bills or other categories. Then choose a cashback credit card which gives the highest amount of cashback for that spending category. Remember to also look at the minimum spending requirement and the monthly cashback cap.